Last year was the first time in a long while that Fender's new product lineup included effects pedals, and the brand is showing no signs of slowing that down with the release of six more effects that have joined the lineup this year. The pedals include the Bubbler Chorus, MTG Tube Distortion, Tre-Verb Tremolo/Reverb, Pinwheel Rotary Speaker Emulator, Lost Highway Phaser, and Downtown Bass Multi-Effect. 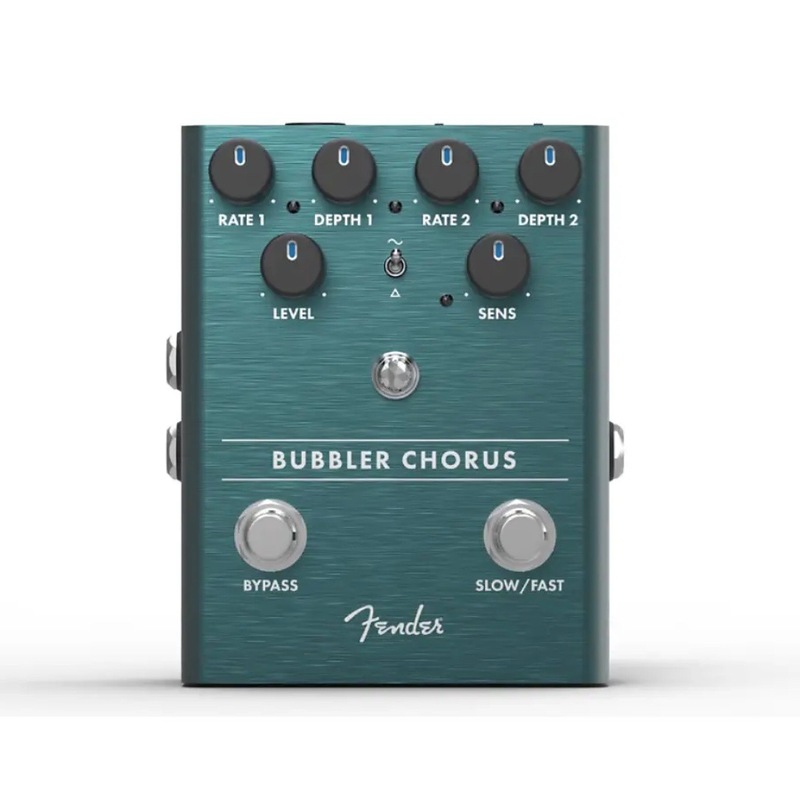 The Bubbler Chorus is Fender's all-original take on a chorus circuit, designed by the brand's in-house team. It's all-analog, promises to add depth and dimension to your tone, and features a simple control layout comprised of switchable slow and fast speeds with independent rate and depth controls, as well as a wave toggle for switching between Sine and Triangle waves. Set your sensitivity to your desired level, and it'll allow the modulation rate to change based on your playing dynamics. The MTG Tube Distortion takes advantage of the brand's successful history in amp design, packing a genuine vacuum tube—a US-made NOS 6205 preamp tube—into the still pedalboard-friendly stompbox instead of building an emulation circuit. 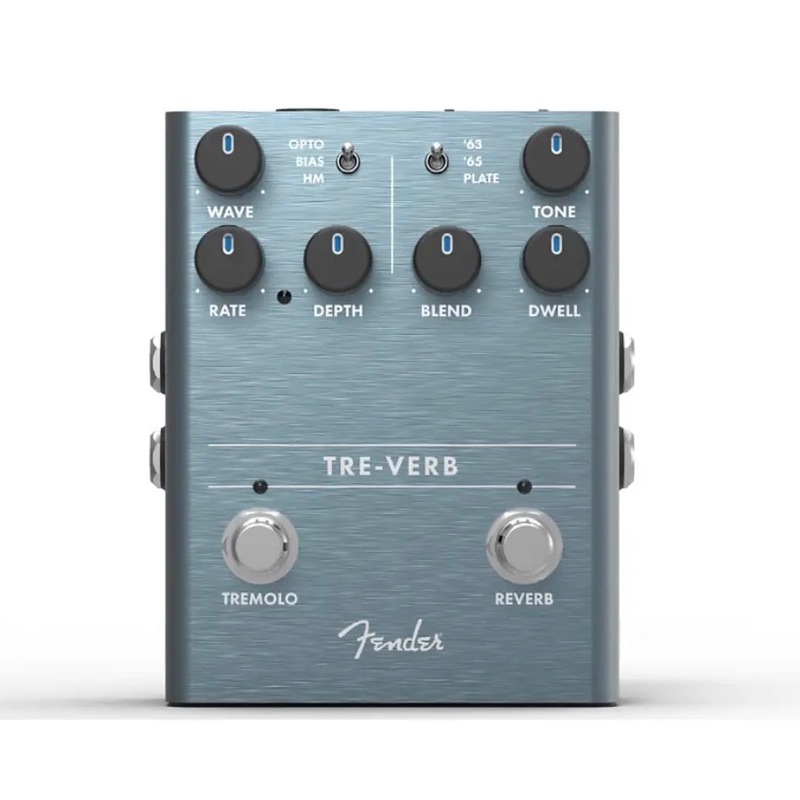 The Tre-Verb Tremolo/Reverb is also its own homage to classic Fender amp-building history, being a pedal replication of the brand's renowned spring reverb units from the mid-'60s. 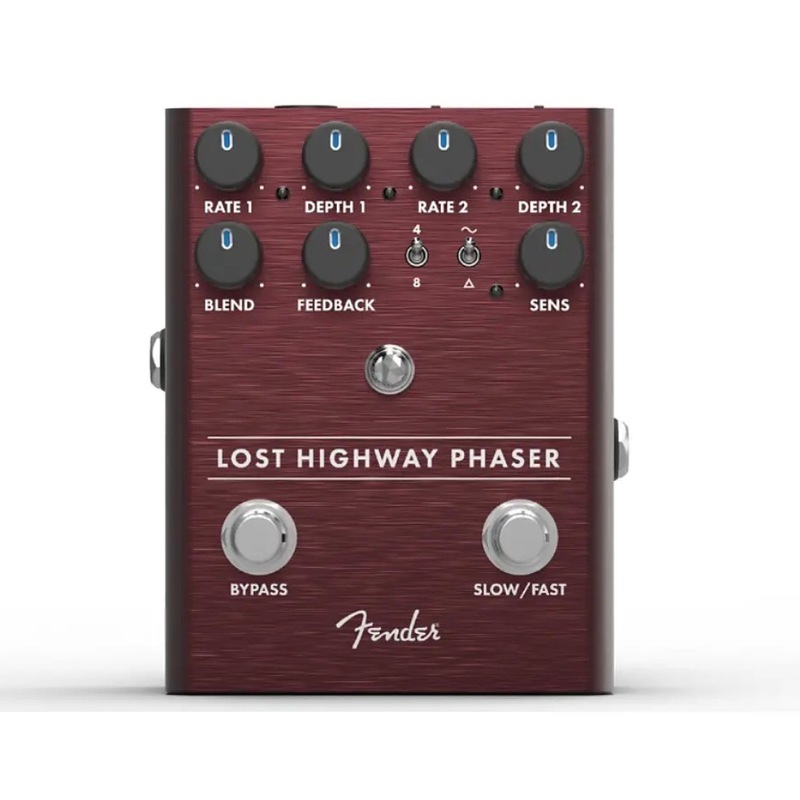 Keeping with the vintage vibe, Fender also released a powerful and flexible analog phaser, with foot-switchable slow/fast speeds and knobs for independent rate and depth control. Switch between sine and triangle waves with the toggle, and add extra resonance with switchable four- and eight-stage phasing. 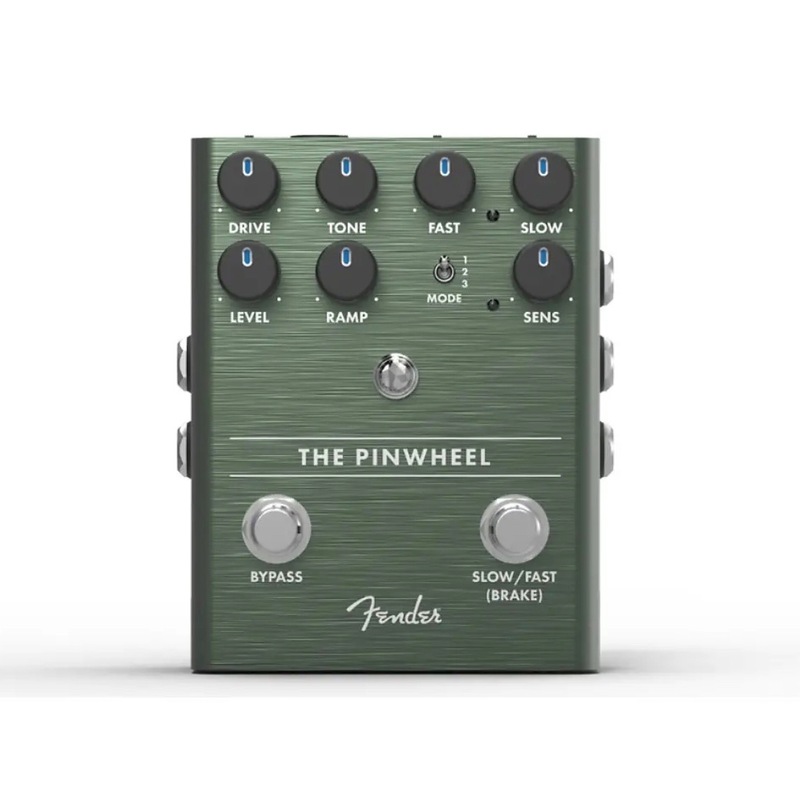 Also new is the Pinwheel Rotary Speaker Emulator, which promises to bring three different rotary speaker voicings—including Fender's Vibratone effect—to your playing from the comfort and convenience of your pedalboard. 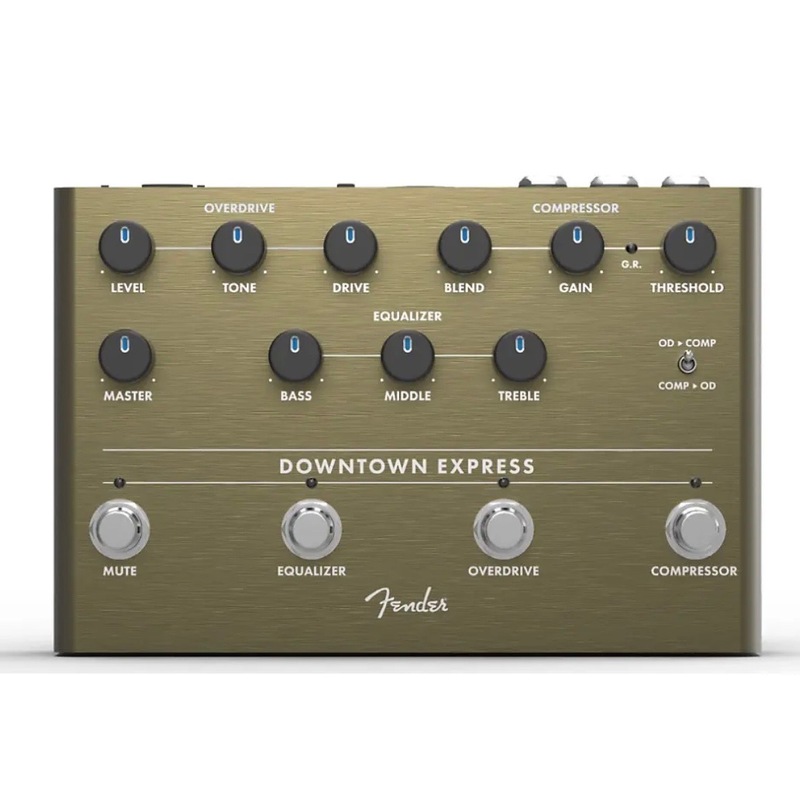 Last but not least, Fender was sure not to leave bassists out this year with the release of the full-featured Downtown Express Bass Multi-Effect. Designed by Alex Aguilar, the stompbox packs the three big bass essentials—compressor, three-band EQ, and overdrive—which are all foot-switchable on their own. There's also a mute switch to kill all of the signal for silent tuning, and for convenience, the pedal allows players to reorder the compressor and overdrive circuits to suit their ear. These pedals are available for preorder now, so click any of the links or pictures above to order your own. And be sure to follow along with our winter NAMM coverage by clicking the banner below.